In our comparison series it is time to look closer at SportCount Chrono 200 and how it measures up to Swimmo swimming watch. As it is a lap counter only we’ll focus mainly on this particular function and the key differences in philosophy behind both products. SportCount Chrono 200 is a simple device in the form of a ring you put on your finger letting it count your laps and times. The thing is…it doesn’t do it automatically but requires swimmer to push the button every time they finish a lap. This can result in mistakes and false times as it depends on your own memory and reflex. Swimmers when fully focused on the training ahead often tell us that this is exactly the problem with lap counting – they simply forget how many laps they’ve already finished. Relying on them remembering to push the button doesn’t really solve the problem, just ease the process a little bit. Swimmo’s many metrics benefit from advanced algorithms that recognize swimmer’s movement and count laps fully automatically without the need for professional turns! It also uses 3 separate sensors to make lap counting not only automatic but also precise and reliable for different types of swimmers with different levels of proficiency. This way Swimmo ensures true results for laps and times without any intervention from swimmers, making it a perfect solution for those who can’t often remember their lap count or those who are preparing for open water competition swimming really long distances. Another difference is the display that in case of SportCount Chrono 200 is black and white and tiny. Swimmo lets you comfortably use visual cues thanks to big, full-color, bright OLED screen that is very easy to look at over and under the water! SportCount Chrono 200 has one button that lets you change the lap count but Swimmo went a step further and has no buttons. Thanks to revolutionary Rotate&Tap system that allows you to control our watch using only a flick of your wrist and a tap on the screen! This makes it very easy to use Swimmo despite multiple advanced features! SportCount Chrono 200 can also show you fastest, slowest, average, and total lap times on it’s screen helping you see your results after the workout session. 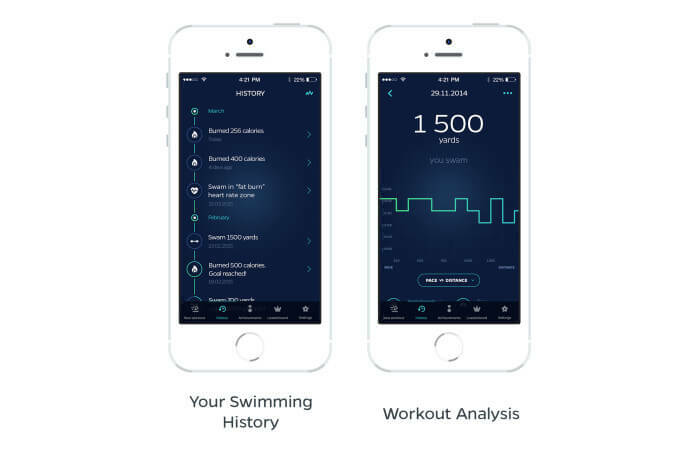 Swimmo on the other hand uses the power of your smartphone to retain all your training sessions with full lap-by-lap or set-by-set results including personal best notifications, and all the measurements. 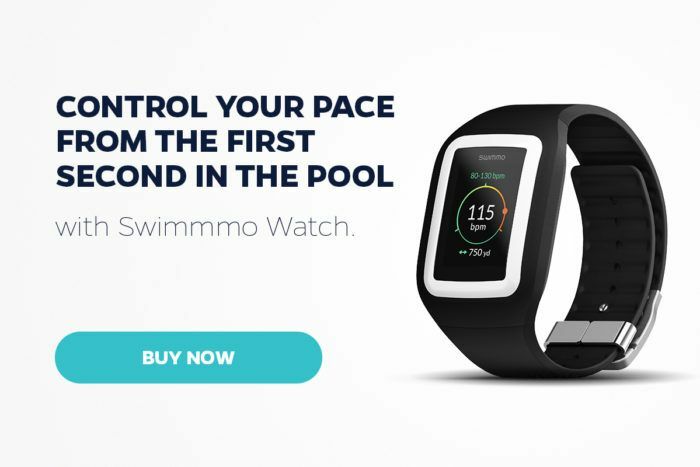 Swimmo Training watch can display heart-rate, pace, calories burnt, distance and more! The main difference though is many additional features that you can find in Swimmo like heart rate monitoring, pace, distance and calories counter, daily watch functionality, external sport tracking systems integration (endomondo, Strava, HealthKit, Google Fit and many more), social sharing capabilities and even a leaderboard that allows you to race your friends wherever they are. If you feel this is a solution that can help you in your overall training and workout analysis just click here to get one or learn more right now!